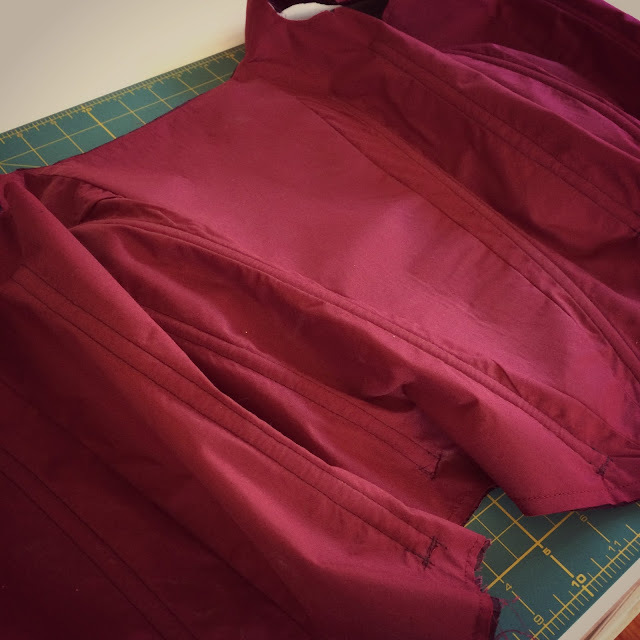 Following on from my previous post, I used the fabric pattern pieces that I had carefully adjusted so they fitted my daughter perfectly, and cut out the main fabric. The main fabric has no nap, or patten so the only thing I had to worry about about was the grain of the fabric and that was pretty obvious! 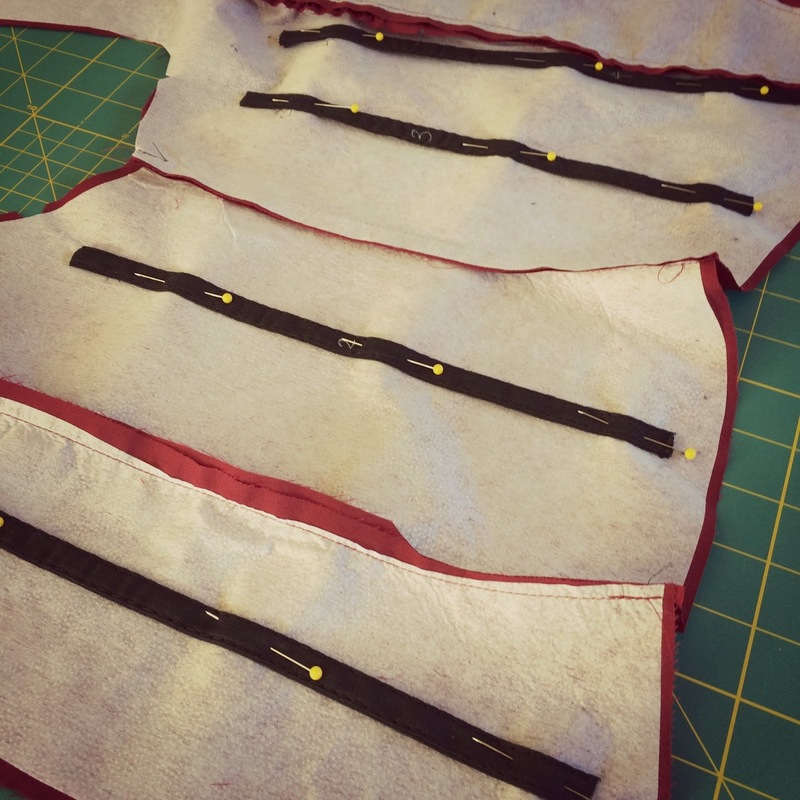 Once the main fabric pieces and the lining with interfacing ironed on were all stitched together I tackled the boning. It is not hard to use boning, it just takes some time. 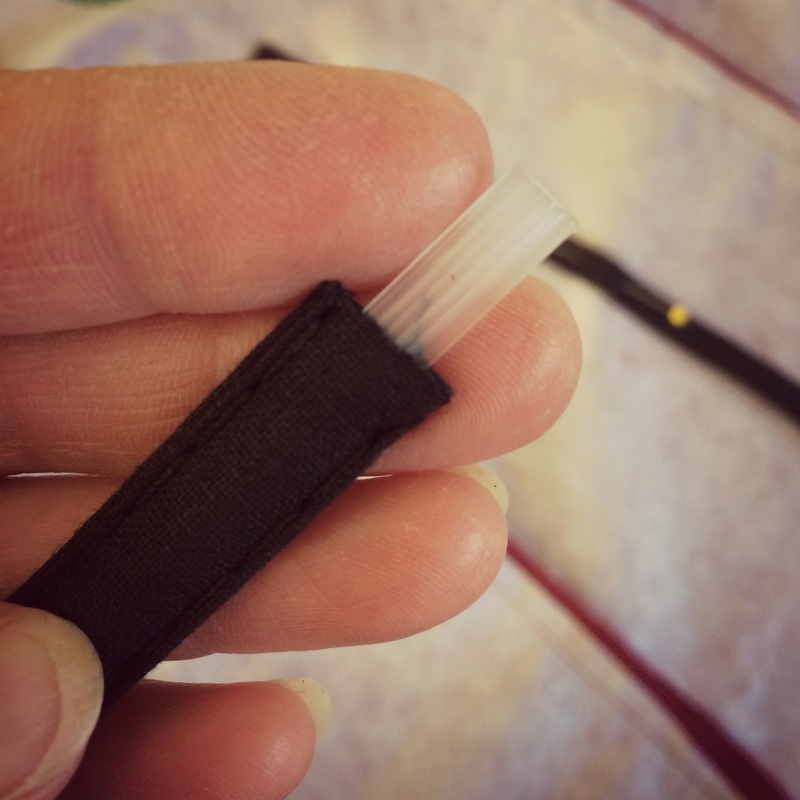 Plastic boning comes in a cotton sleeve in either black or white. 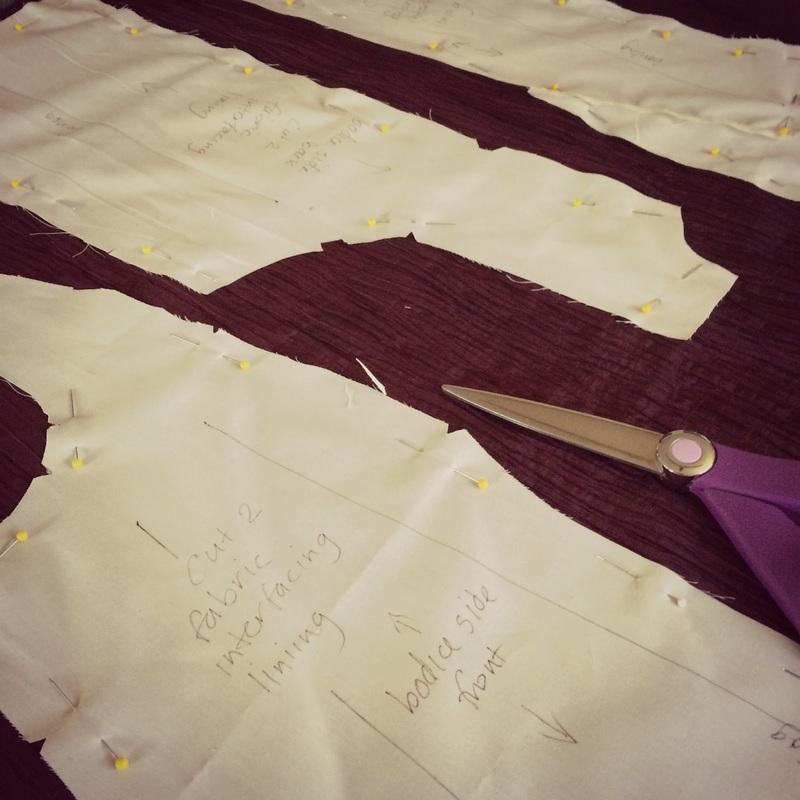 You cut the lengths you need according to the pattern and then remove the plastic boning from the cotton sleeve in order to stitch down the sleeve on your garment, leaving one end of the sleeve open so you can re-insert the boning. The boning pieces on my pattern are different lengths so I marked each sleeve and corresponding plastic piece with a number in pen so that I didn't get in a muddle! Below the lining and main fabric pieces have been sewn at the top edge and then basted everywhere else. Now it is ready for the zipper but I forgot the pattern has the wrong size listed and so I had to go and replace the one I'd bought previously! After the zipper it is time for the sleeves which I am making out of chiffon. It's tricky stuff to sew, chiffon! It's delicate and a bit slippery. I finally got both sleeves in at about 11.30 last night by which time I was starting to make mistakes and called it a night! 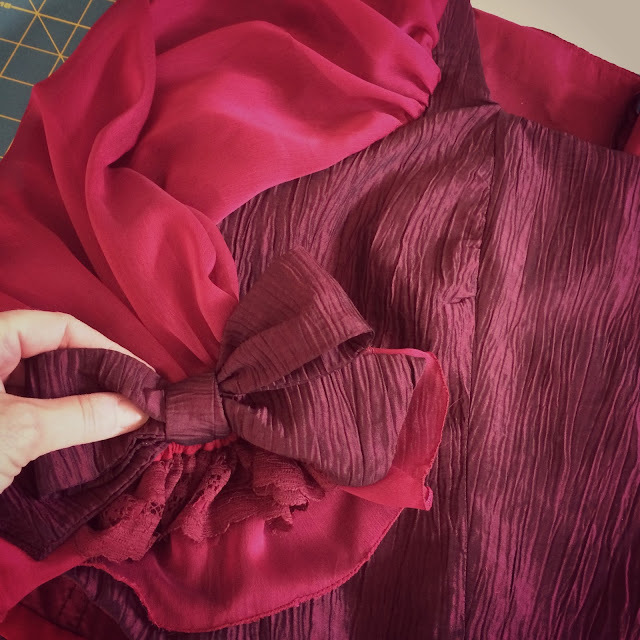 This morning I added the big bows to the sleeves and began on the trim. It has to have a little sparkle but cannot outshine the Queen's costume in the play!! I looked at lots of pictures on Pinterest for ideas. 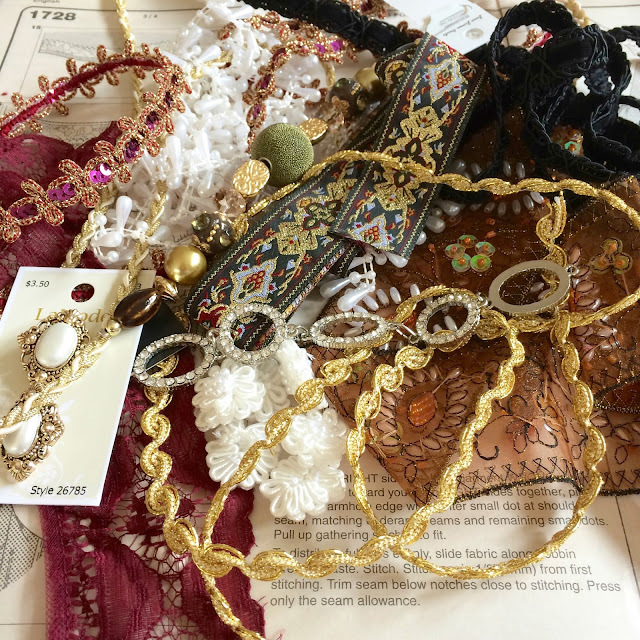 This is some of my trim stash! 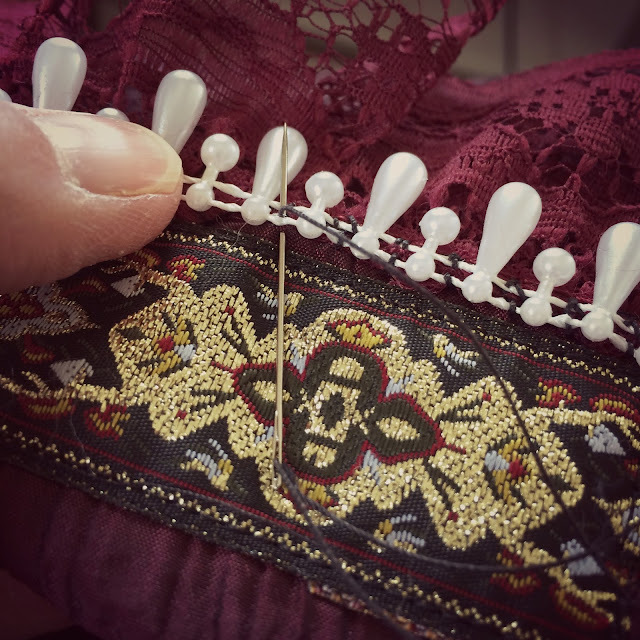 Some of the trims can be machine stitched but others like this pearl trim must be hand applied. Next time I will have pictures of the finished bodice.